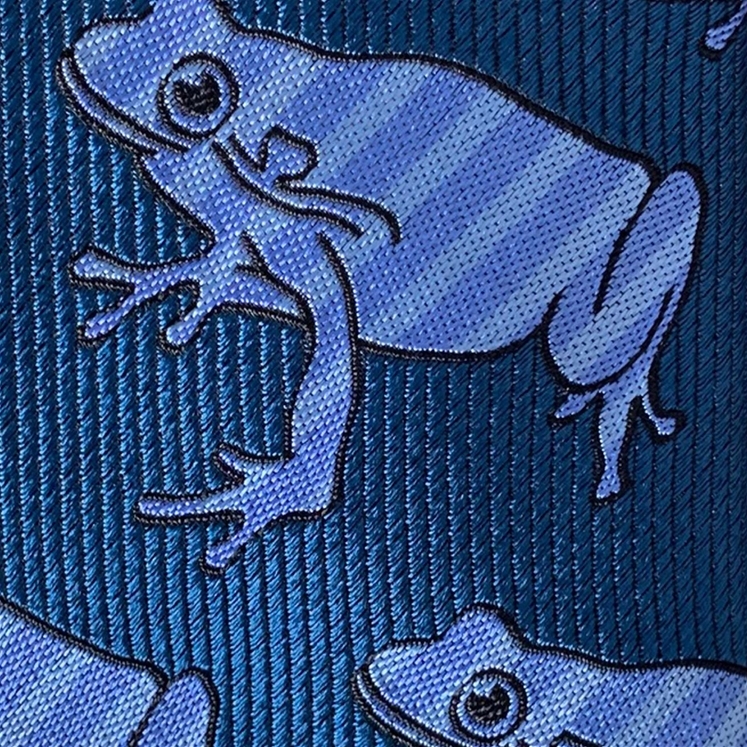 100% Silk tie in tonal blues, adorned with striped frogs. A limited edition design that helps us celebrate 20 years of Gresham Blake. 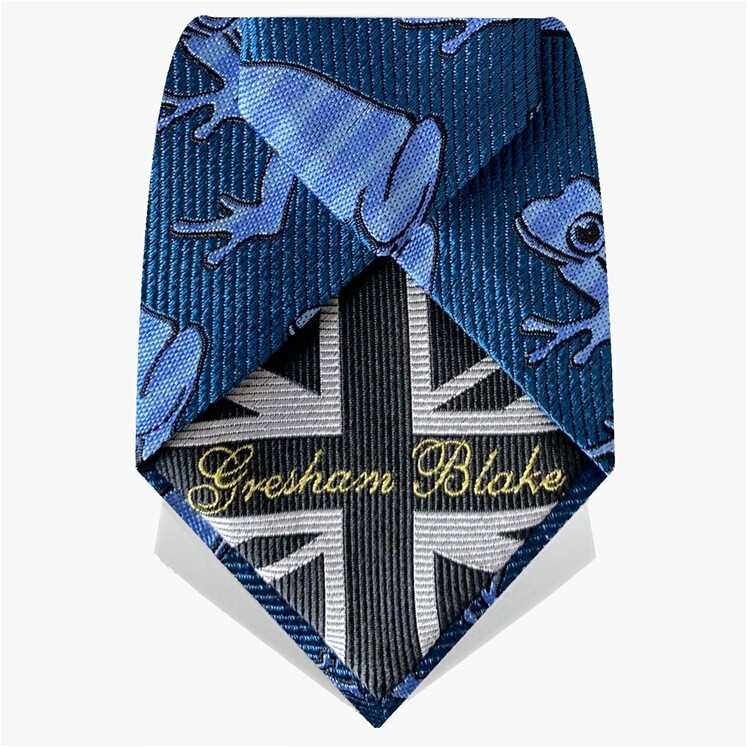 Tie is tipped with our unique Gresham Blake Union flag and is made in the UK. 175cm X 8cm. 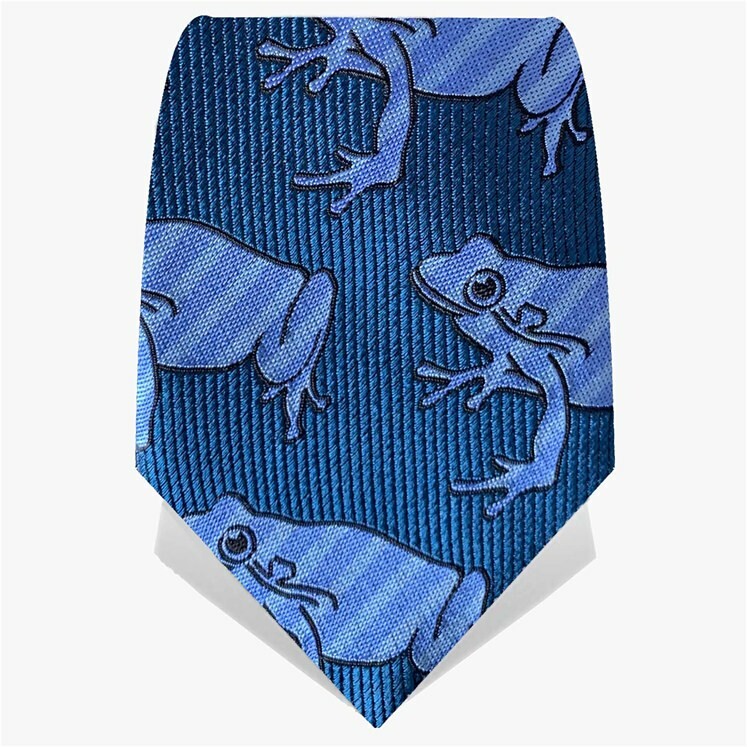 Also in other colours.